We are extremely fortunate to have Steve Vergis volunteering with us at ESPI, where he has been training and rehabilitating our horses. Further to this, Steve provides sessions, as an integral part of our volunteer compulsory horse handling. These sessions can also be available for participation to anyone interested in learning the basics of groundwork with horses, upon a small donation towards ESPI. 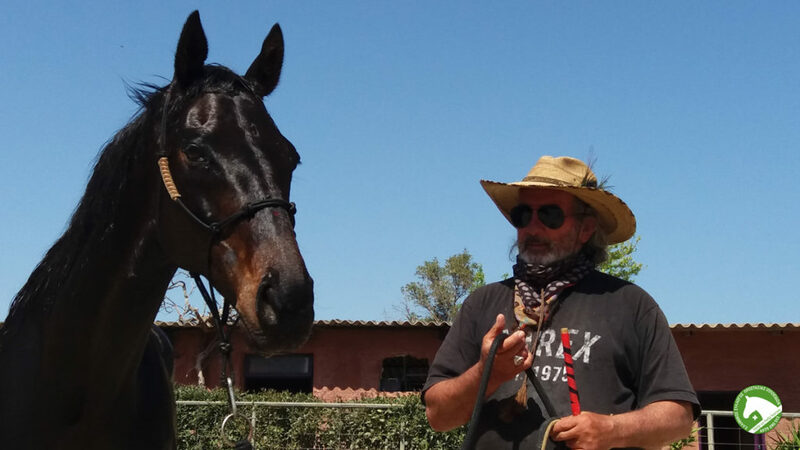 Stavros has a talent for creating bridges of communication between owners and horses. And when it comes right down to it, is it not better for our horse to do our bidding because he wants to rather than because he has to? The seminars are held every Monday and Saturday at 10am. There is a 20 euro fee per lesson which is donated to ESPI’s fund. If you are interested in attending please notify us by phone, email or fill in the form below. Copyright © 2019 Hellenic Society for Equine Welfare. All rights reserved.